Do you sometimes feel like you need a PhD in order to get the laundry done? 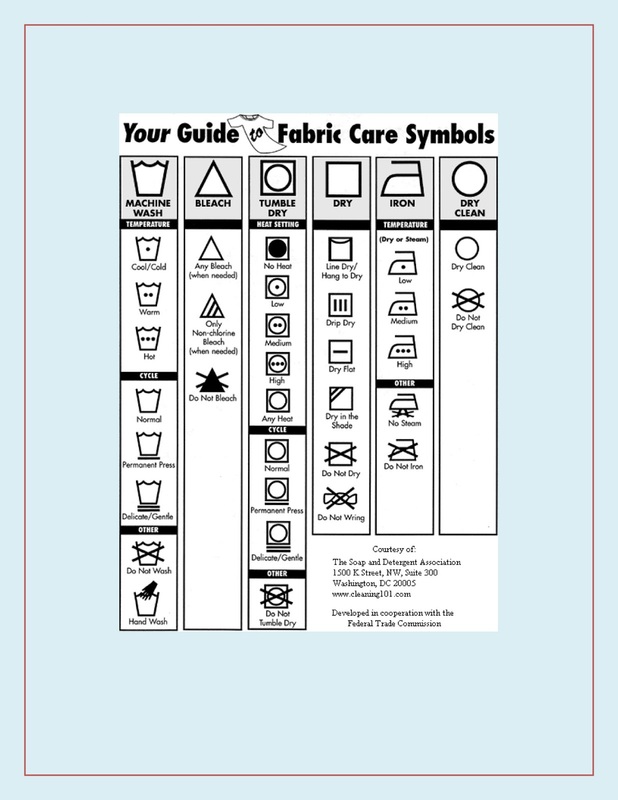 Generally, tossing your colors in one load, whites in another, and using warm water and detergent for both seems like the catch-all for doing the wash. Until you come across that one item that you're not sure what to do with! 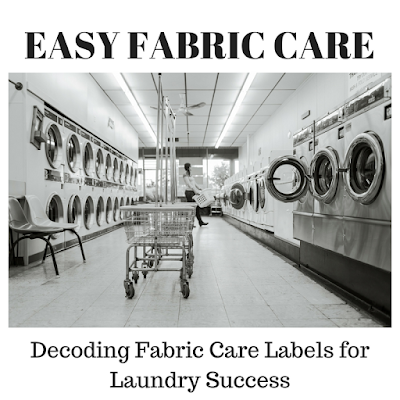 Clothes, bedding, towels, curtains... all of them are a substantial financial investment and you want to make sure that you are caring for them in the best way possible to make them last. And we've all been there, when we've laundered a favorite top or cute pair of shorts, and suddenly we are now the proud owners of something small enough for Barbie (or Ken) to wear or it's a funky tie-dye of original print or color and bleach spots! 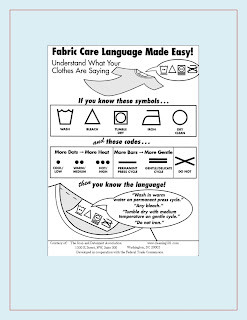 Today, I am bringing back the laundry charts that I first brought you back in May, 2006. These are going to be pretty easy to use! Each symbol is shown with a description of what it means. 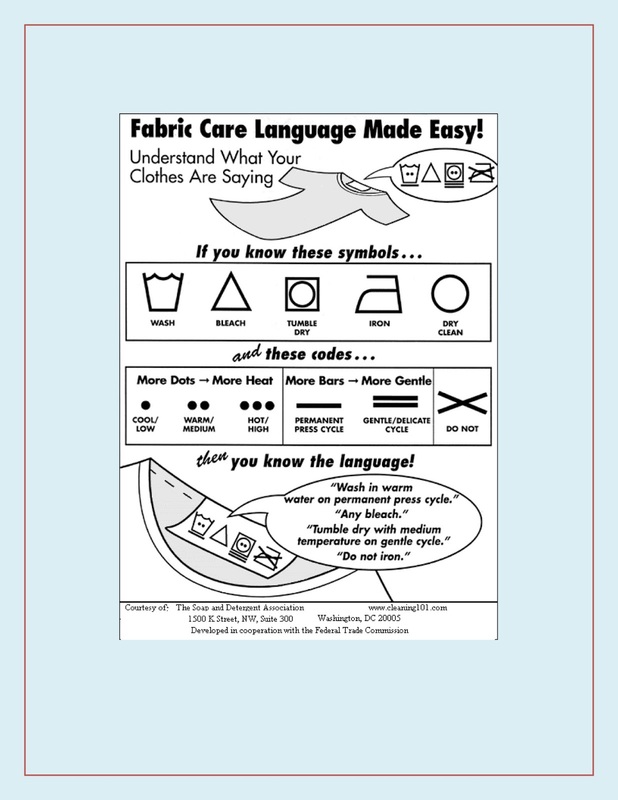 Once you know what the symbols on your labels stand for, you now have the information you need to properly launder the item! 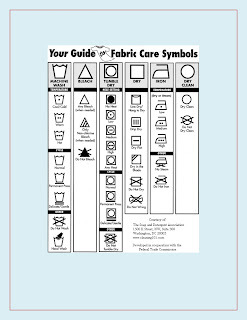 Simply download and print the charts, and keep them in your laundry room for reference any time you need to decode your care labels! I keep mine taped inside the door of the cabinet above my laundry sink, so I always have them and they can't wander off. I even have a postcard size printed and stuck to the side of my washer with a magnet.